Yahoo!’s new homepage gives you more ways to customize the page with your favorite news, sites and services. 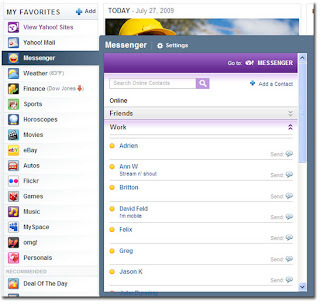 This new version allows you to add Yahoo! Messenger module to your homepage and lets you see which friends are online. Plus you can easily IM them right from the page.